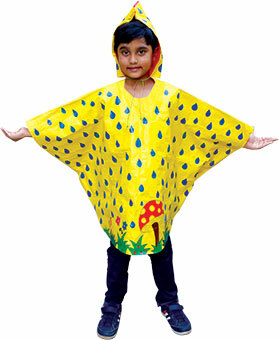 Let’s make a different kind of raincoat for this monsoon! 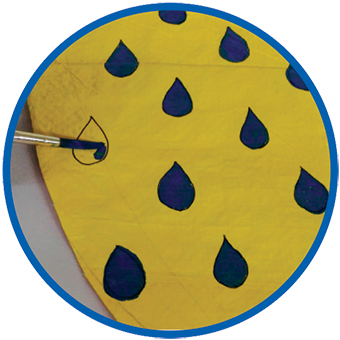 Tip: You can also make a poncho using denim or cloth. 1. You will need a sheet that is about 1 metre wide and 1.5 metres long. It can vary depending on how long and wide you want your poncho to be. 2. Fold the sheet into two and draw a big semicircle. Cut along the line. This will be the body of the poncho. 3. 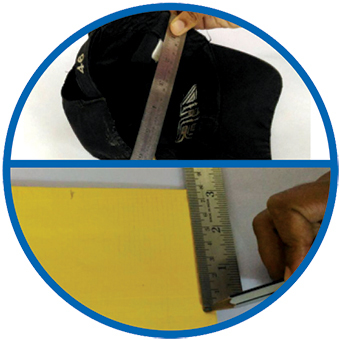 Measure the width of your head using a cap. Use half the measurement as radius and draw a semicircle at the top centre of the sheet. Cut along the line for the neckhole. 4. Stick the two sides of the sheet leaving gaps for your arms and legs. 5. 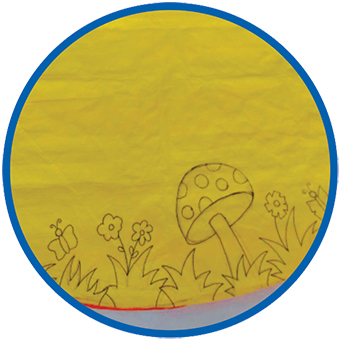 Along the bottom of the sheet, draw a design on both sides. 6. Fill the design with colour and put it aside to dry. 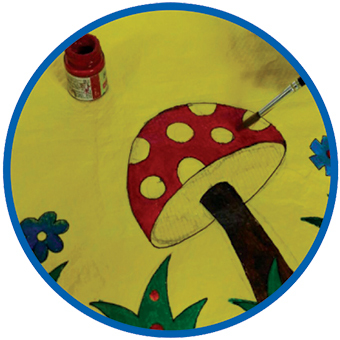 Use only acrylic paint as it is water-proof. 7. Paint the raindrops and keep it aside to dry. 8. 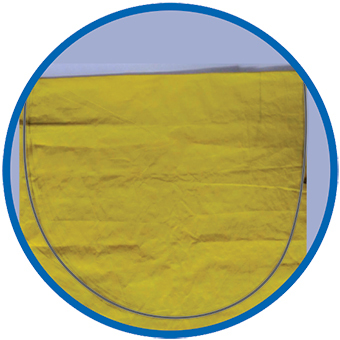 Cut out a rectangular piece of the plastic sheet which when folded in half should be large enough to cover your head. This will be the hood of the poncho. 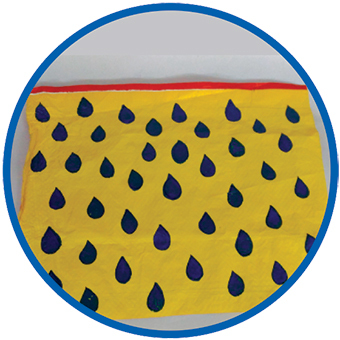 Draw raindrops on this sheet and colour them. 9. 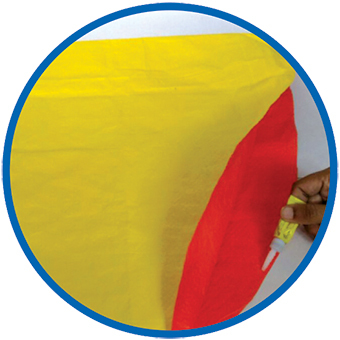 Apply glue along one length of the sheet and stick the sides together as shown. 10. Place the thread along the border of the hood. Wrap the edge and stick it over the thread. Make sure that you do not stick the thread itself. 11. Stick the hood to the back of the poncho’s neckhole. Your rain-proof poncho is ready!